The partner countries are the Republics of Turkey and Croatia, in this respect, the curators are Basak Senova and Branko Franceschi, who have their paired curatorial statements under the titles Time Cube and The Castle and selected 35 international projects. Regardless of constructed histories and collective memories, remembering means jumping from one sequence to another. Each reading guides towards a new reality and each reality illuminates a new path to discover curves, waves, missing details, obscured secrets, and disguised opinions. By navigating through sequences of time, Time Cube aims at dwelling in past and future memories by (i) reconstructing narratives; (ii) experiencing diverse realities simultaneously; (iii) connecting the temporal with the spatial; and (iv) processing the evidences of fiction and fact together. Following the same line of thought, The Castle focuses on the unnerving sensation of paranoia, doom and egotism emanating from the inversion of the ancient concept of fortress to the underground haven for the political and military elite of the Cold War era and its contemporary transition into the tourist attraction. The central object of the Biennial is “Facility D-0, Tito’s Atomic War Command” located in Konjic, Bosnia and Herzegovina. Now, this very object still stands as a unique fiction, which is also a pastiche of industrial aesthetics and facts with working engines and ventilators as the backdrop of a historical fact. The bunker simply freezes time and is totally isolated from the outer world. At the same time, the bunker unfolds all the possible tensions, disappointments, dreams, hopes, and miseries of the entire geography. 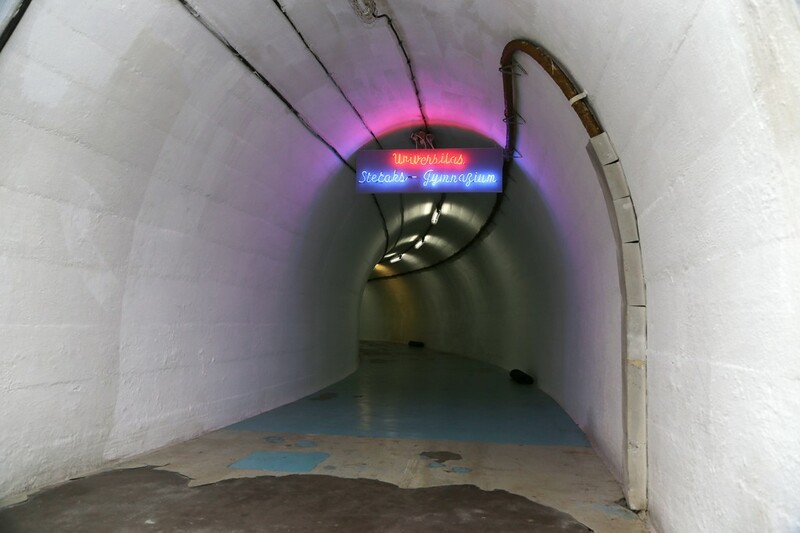 The Biennial Directorate of Project D-0 ARK Underground announced 26–27 April 2013 as the opening dates for the 2nd Project Biennial D-0 ARK Underground, Bosnia and Herzegovina. The biennial will take place April 26 through September 26, 2013. Partner countries for the 2nd Project Biennial are the Republics of Turkey and Croatia. The curators of this edition, Basak Senova and Branko Franceschi, also announced their paired curatorial statements under the titles Time Cube and The Castle, along with the list of the artists invited to participate in the biennial.